Republican Lawmakers In Ohio Revive What Could Become One Of The Strictest Abortion Laws In U.S. Though a similar measure failed in the Ohio state Senate, state Representatives Christina Hagan (R) and Lynn Wachtmann (R) are pushing a revised version of Ohio's Heartbeat Bill to ban abortion once a fetal heartbeat is detected — which can occur as early as six weeks after conception, a time at which many women don't even know they are pregnant. Proponents of the bill argue other recent gains in the movement don't go far enough. “It’s a new General Assembly, and we’re ready to start the fire again,” Hagan said at a Statehouse news conference Thursday. So, what are the recent gains in question? Current Ohio law requires doctors to conduct tests on fetuses at 20 weeks to see whether they would be viable outside the mother's womb and prohibits an abortion on those that would be. The state budget that was passed by Republicans and signed by Governor John Kasich (R) at the end of June puts additional restrictions in place. A budget amendment requires abortion clinics to have written agreements with a hospital to handle potential emergency medical situations — but not a publicly funded hospital, which narrows clinics' options. The amendment already led to one of Toledo's two abortion clinics closing its doors earlier this summer. The only remaining clinic, Capital Care Network, is also in danger of shutting down under the new law. Furthermore, the budget did incorporate part of the Heartbeat Bill, requiring doctors to perform external ultrasounds to detect a fetal heartbeat and then offer to let patients hear or see the heartbeat. Lastly, the budget placed Planned Parenthood at the bottom of the list for the distribution of federal family planning funding. Because #GOPHeartsLadies. Even though he signed the budget, Governor Kasich was evasive about the latest Heartbeat Bill Thursday afternoon. "We have lots of bills that go through the legislature, and at the end of the day," said Kasich, "it’s up to the legislature to see how they’re going to move. I just don’t really have a comment on it." Similar bills enacted in Arkansas and North Dakota have been blocked by federal judges. Many legal scholars have said the law would violate the Supreme Court's landmark Roe v. Wade ruling that abortions are permitted until the fetus is viable outside the womb. However, that violation may be exactly the point of the Heartbeat Bill which proponents hope could help overturn Roe v. Wade. "I don’t think the justices of the Supreme Court are immune to both public opinion, reading news, and things like that," Wachtmann said. 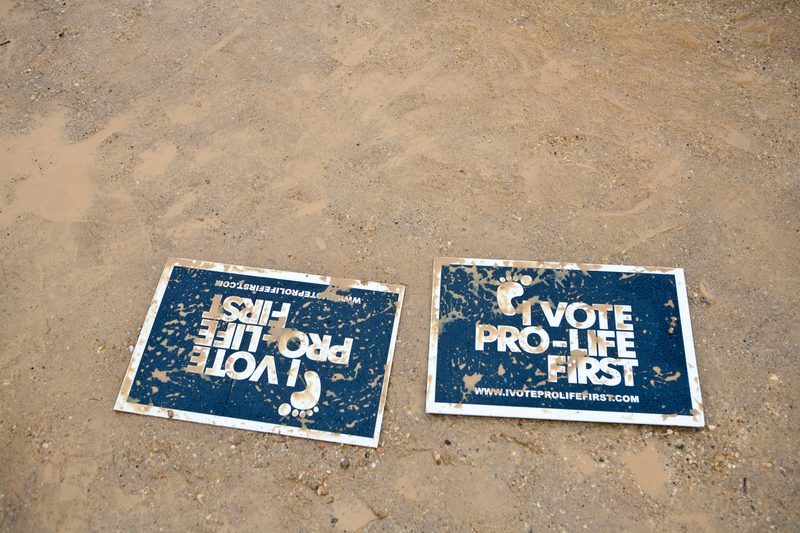 News of the bill's resurrection came as a ThinkProgress report that found 34 states currently directly fund "crisis pregnancy centers," aka rightwing organizations that pose as nonpartisan health clinics while actually pushing an anti-abortion agenda. Women who visit crisis pregnancy centers are frequently told a plethora of falsehoods, including that emergency contraception is the same thing as abortion, birth control contains carcinogens, abortion is extremely dangerous, and women always regret ending a pregnancy.